On a recent sunny day at Scoma’s restaurant overlooking San Francisco Bay, a group of senior executives from Keynote Systems Inc. attended a celebratory awards meeting hosted by their partners at AuctionIQ® (AIQ®). It was far more than the usual off-site, end-of-year summary of deals done and milestones reached. They had come to recognize the accomplishments of one of their most successful joint projects of 2014 and the team that had worked to make it possible. That team was headed by Larry Oeffinger, Keynote’s Senior Director of Production Operations, who received a well-deserved award that day. The ceremony also delivered awards to the Keynote CEO Jennifer Tejada and the VP of Service Delivery Shawn White, and many other team members. That in itself suggested that this was a special occasion. A special occasion that was due to an amazing number: the total cost savings that Larry and his team and AIQ had delivered to Keynote’s bottom line over the previous year. That number was 43.5%. That’s the kind of number that makes CEOs and CFOs and Private Equity partners sit up and take notice. The collaboration with AIQ had turned out dazzlingly well for Keynote’s profitability and burnished Larry’s reputation throughout the company. These steps were part of an ongoing process by Keynote to maintain a high level of efficiency that guarantees its customers the most robust service at the best possible price. Larry said, “I’m extremely passionate about challenging the process and focusing on costs, but also balancing that with what we do for our customers. There’s a lot of passion and a lot of work that went into creating the business requirements to make sure we achieved that goal. It was no small boast. It’s well known that there is often a disconnect between the driving concerns of top level executives, and the performance metrics of line managers tasked with carrying out specific initiatives and managing day-to-day operations. One is focused on total profitability and increasing EBITDA, and the other wants to get the job done. And these outcomes are not necessarily in sync. Which is why, by relentlessly pushing for cost savings, and bringing in AIQ to help achieve that goal, Larry succeeded both in delivering real value, and in dramatically enhancing his influence and leadership within the company. His insight and participation are now sought after, and he did it by placing the emphasis where it belongs: on process.  AIQ sums it up in one simple mission statement: we help our clients get exactly what they need, fastest, and at the lowest possible cost. On that day in San Francisco, Larry and everyone who worked with him—Tim and January, and Ray, David and Dave and Daisy and all the rest—took a moment to enjoy and be recognized for the results of their efforts. It was also a time for reflection, to consider how they got to this point from where they began. For Larry, it had started almost seventeen years earlier, when he had first met Brad Buxton, CEO and founder of AIQ. Larry had started in 1996 at Genentech as Senior Manager of Network Engineering and Operations, and over time became a Director of IT Infrastructure and Operations. During that period he had many opportunities to work with and observe the ways in which AIQ went about analyzing and searching for cost savings in a maze of the company’s contracts. It was there that Larry began to appreciate how essential it was to begin with a thorough, detailed and consistent process that included measurable goals. Having that background, having seen how Brad and AIQ thought and functioned in order to meet those targeted metrics; Larry then brought that background and that perspective when he moved to Keynote Systems. Keynote is the global leader in cloud–based testing, monitoring and analytics for mobile and web applications. They help clients optimize the value of every digital interaction, enhance the user experience and drive business value through improved online performance. 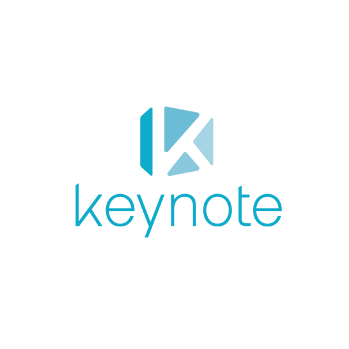 Keynote operates the world’s largest cloud testing, monitoring and analytics network that collects over 700 million mobile and website performance measurements daily. It was a daunting challenge, and, Larry admits, a little overwhelming at times. At Genentech there had been a relatively small number of large suppliers, and therefore fewer deals to look at and negotiate. But Keynote had hundreds of smaller suppliers, and circuits and mobile lines by the thousands. But that didn’t stop Larry. Early on, Keynote needed to double their network bandwidth in five countries, so they began requesting quotes from different vendors. He directed his team to not simply accept what the suppliers said was their best offer. “Daisy,” Larry said, “I want you to go back to the suppliers. Tell them it’s not enough to match their competitor’s prices–I want them to beat those prices.” Larry was thus able to save Keynote over $250,000 with these early efforts, and Keynote began to see that even more savings were possible. But to really effect the change he knew was possible, Larry knew he couldn’t approach it in a piecemeal way. He and Brad starting having meetings to map out some ideas and put a plan in place. The complicating factor was that, compared to Genentech, Keynote had very specific business requirements because of the unique value that Keynote provides to its customers. Keynote’s core value is the ability to test and analyze specific products on specific networks in specific markets—worldwide. In other words, if a U.S. customer wants to test the performance of their mobile application on a Samsung Galaxy with Vodafone in Frankfurt, Keynote can make it happen. And there could be potentially thousands of completely different scenarios that Keynote has to be able to support. This level of service is crucially important to their customers, but it means that Keynote’s systems are maddeningly complex to sift through. It’s not a job for the faint of heart. Larry was right to want to bring in people with expertise in handling exactly these kinds of situations. Brad told him, “Our track record shows that savings in the range of 50% are achievable and can be attained quickly, over the entire IT/telecom spend categories on a self-liquidating basis.” He knew why he could put his trust in AIQ —because he had seen them do it successfully many times before. AIQ brought a lot of ideas, one of which was a dual-phased approach: discovery and delivery. The initial discovery phase includes things like assessment, inventory, auditing, and strategizing various options. It was necessary to take this thorough, coordinated approach to the problem for two reasons: first, the complexity of the task demanded it. And second, Larry had to win over his boss, Shawn White, the Vice President of Operations. Shawn had been with Keynote for over 18 years. He built many of the systems that Larry now wanted to put under the microscope. Needless to say, convincing Shawn that this was the right thing to do, and that it could really deliver impressive, measurable savings, was vital. And it was grounds for some nervousness, even for Larry. I said to Shawn, “I’m going to save you a million and a half dollars. Larry went on to describe the initial Phase One process with AIQ, and how it would identify opportunities for cost savings. He knew that if he could get Shawn’s buy-in, he would be on his way. He also knew that if he started throwing around numbers that were too high, it would heighten the skepticism. So he had to be a little conservative, maybe even lowball it. The problem for Larry was that there was skepticism within Keynote whether major cost reduction was possible. Some people thought it was too big a project. Some thought they were already getting the best deals so any savings would be minimal. Shawn decided to give Larry his support, but he wanted to make the game a little more interesting. He knew that Larry had requested additional head count to hire a DevOps person to implement automation within his NOC (Network Operation Center) department on another transformational plan Larry was working on. So he told Larry, you can go ahead. But there’s a catch. If you don’t deliver, you don’t get that additional head count. If you don’t deliver, you don’t get that additional head count. There’s no free lunch. Unless, that is, you have AIQ to help you find the hidden morsels. And it wasn’t the last time that Larry would be asked to make a wager on whether he could deliver on his promises. So Larry plunged into Phase One with AIQ. Larry directed his team to gather details and AIQ reviewed about $50 million in annual spending spread over 1000 or more suppliers. Out of that data, AIQ identified 108 suppliers to focus on. These were the suppliers that had the potential of delivering the fastest and most meaningful savings to Keynote. AIQ reviewed over 600 files and dozens of billing sites that included detailed invoices and current contracts. After a two-week review, AIQ presented Larry and his team with an array of possible strategies that they could take with those services. These included negotiations, optimizations and competitive auctions, among other AIQ processes, and AIQ predicted the savings with all of them. Savings can vary with different categories but over all AIQ estimated that they could save over 43%. Based on the presentation of the Phase One analysis, Keynote decided on what services and what approaches they wished AIQ to take. Larry knew from his experience at Genentech that AIQ was extremely good at predicting and delivering savings based on their detailed reviews. He was ready to have them move forward with everything. But Keynote felt that they needed to begin cautiously and put a toe in the water, so they decided to start first with the collaboration sector. AIQ created a detailed baseline with dozens of bid items on which eighteen suppliers were invited to participate in an online auction. The suppliers also provided references and answered a detailed online survey that automatically ranked the responses. 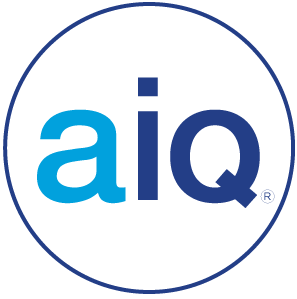 AIQ handled all the supplier communications and negotiation on Keynote behalf and with their review and approval. The bidders competed fiercely and by the end of the auction, when the winning bids were tallied up, the total savings were 60%! Keynote was delighted, as you can imagine. But there were still members of the Keynote team that were not fully convinced. Could AIQ repeat this success with other categories? The next one up was mobility, and some team members openly expressed that there was no way AIQ predicted mobility savings could be achieved. There were just too many complications, too many interlocking requirements with thousands of devices and over $1 million in annual spending. The suppliers had already told them they were getting the best deal. Oh really? Larry said to his team, Do you want to put your money where your mouth is? So his team bet Larry that he wouldn’t break 30%. It’s so crazy, we’ll dye our hair blue if you make it. Fortunately for the doubting team members, the bet was later changed to just wearing blue wigs. AIQ’s process had delivered savings within one half of one percent of their Phase One prediction on wireless savings of 34%! It was a tremendous result. But now the stakes were about to get a little higher. Keynote Systems was acquired by the private equity firm Thoma Bravo just as the project with AIQ was heating up. The initial success had the natural result: more people started to show interest, and more services were added to the mix that AIQ was evaluating. Thoma Bravo focuses on software and technology businesses, and represents one of the longest and most successful histories of private equity investing. The company also invests in education, and business and financial services firms, targeting US companies with more than $20 million in annual earnings. They participate in management buyouts, recapitalizations, and growth equity transactions, typically buying and then building companies while partnering with their management teams. Larry didn’t realize it at the time, but Thoma Bravo was aware of his project at the time of the acquisition. They had already begun to factor the expected cost savings into the budget. We all live with the need to follow through on our commitments, just like Larry. When you buy a house or car, you’re making a deal that you promise to live up to. It works the same way from individuals like Larry all the way up to companies like Thoma Bravo. They tell their lenders and investors, we can make this deal work on these terms. And then there’s no going back. You make good on it even if it means you lose the house or car. And at the top of the food chain, there’s only one response: you make it work. You make it work because the alternatives are not acceptable. The savings number that was required was $2.8 million dollars in annual savings by the end of the year. This was not a request. Now everything was on the table. The team began looking at all the services included in the phase one: colocations and bandwidth, cloud, hardware maintenance…. Everything. A company, any company, can only survive and thrive on what their employees produce, and that’s a function of what those employees know and what unique skills they have. Cost saving measures can be a way to make choices that don’t force a trade-off between reaching necessary goals and sacrificing institutional memory. Larry and Brad had reached a point where their work was being framed in the clearest, simplest light. It wasn’t saving money for the sake of it. It was about people. It was the big bet. As always, they were all in. “Aside from the incredible savings, the value-add is the education that the leadership team gains from working with AIQ. We’re getting people to question their decisions, question the business process, and they’re learning. It came down to an emphatic phone call on Christmas Eve from CEO Jennifer Tejada to Brad Buxton. There was no beating around the bush. AIQ has to find a way to deliver this number based on the scope that Keynote selected, or there would be a very grim beginning to the New Year at Keynote. There was little or no vacation for the team at AIQ or Larry’s team that week. They had the last remaining week of the year to pull together whatever additional savings they could create. And in the end, at five o’clock on December 31st, they called Jennifer to say, we’ve got it. Everyone got to go home, and have the most well-earned New Year’s toast ever. What changed? The cost savings were truly significant, but is that the real value that AIQ brought to Keynote and Thoma Bravo? To Larry, “AIQ’s process got people to talk and ask the right questions. That’s their real value, because it forces a conversation within the company. “It’s like the story of the engineer who doesn’t want to change out the old system for the new. He doesn’t know the new system, and he has a vested interest in keeping the old system around. “Now, we’re looking more competitively at our suppliers. People stop and think, we’re the consumer – if it’s meeting the exact same business requirement, why am I paying a premium? Larry said: “Aside from the incredible savings, the value-add is the education that the leadership team gains from working with AIQ. It’s happening almost by osmosis. We’re getting people to question their decisions, question the business process, and they’re learning. They might even be learning in their personal lives. AIQ succeeded with Keynote, as they have with many other clients because they know going in that the savings are there, waiting to be uncovered. The real job is profitability and quality. From there, all the other ancillary benefits—personal, professional, technical—flow naturally. Tim Griffin, the Global Carrier Relationship Manager remarked that he had just sent another email to AIQ asking for more advice. Chat with us about your project and see how AuctionIQ can cut your companies costs.